The advent of laser-based sources of ultrafast infrared pulses has extended the study of very fast molecular dynamics to the observation of processes manifested through their effects on the vibrations of molecules. 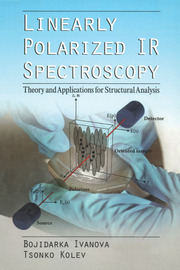 In addition, non-linear infrared spectroscopic techniques make it possible to examine intra- and intermolecular interactions and how such interactions evolve on very fast time scales, but also in some instances on very slow time scales. 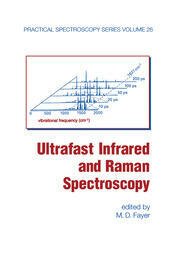 Ultrafast Infrared Vibrational Spectroscopy is an advanced overview of the field of ultrafast infrared vibrational spectroscopy based on the scientific research of the leading figures in the field. 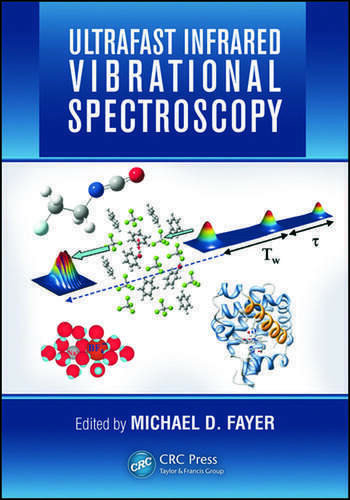 The book discusses experimental and theoretical topics reflecting the latest accomplishments and understanding of ultrafast infrared vibrational spectroscopy. Each chapter provides background, details of methods, and explication of a topic of current research interest. Experimental and theoretical studies cover topics as diverse as the dynamics of water and the dynamics and structure of biological molecules. Methods covered include vibrational echo chemical exchange spectroscopy, IR-Raman spectroscopy, time resolved sum frequency generation, and 2D IR spectroscopy. 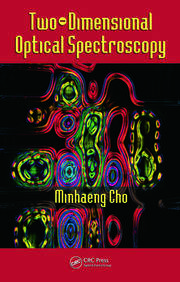 Edited by a recognized leader in the field and with contributions from top researchers, including experimentalists and theoreticians, this book presents the latest research methods and results. It will serve as an excellent resource for those new to the field, experts in the field, and individuals who want to gain an understanding of particular methods and research topics.